Grains are composed primarily of carbohydrates, but the quantity varies according to the type of grain. Carbohydrates account for 65 to 90 percent of the calorie content of grain. Protein usually accounts for 7 to 15 percent of the calories and the fat content, contained wholly within the germ, makes up the remainder of the calories. Grains do not contain any saturated fat or cholesterol, which are linked to many health problems. Grains are a rich source of protein, but the type protein found in most grains lacks some of the essential amino acids that only can be obtained from animal sources. Whole grains are loaded with vitamins and minerals, especially in the bran and germ, but these components are often removed when some grain products are processed, such as when wheat is processed into the white flour that is favored in Western cultures. The bran is also loaded with soluble and insoluble fiber. Soluble fiber helps to lower the cholesterol level in the blood, and insoluble fiber is important for digestive health. 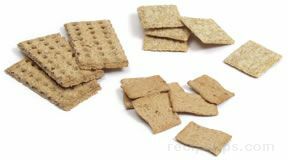 Removal of these components from the grain is often attributed to the rise in many of the health problems associated with diets low in fiber. When grains and grain products (especially whole grains and whole-grain products) are combined with a balanced diet, they are one of the most important foods for providing proper nutrition. As a source of nutrients, amaranth provides protein, calcium, iron, and zinc. The protein and iron content is higher in amaranth than in many other grains. It also contains a greater concentration of the beneficial amino acids lysine and methionine. Recognized as gluten free in Canada for many years, amaranth is becoming more widely accepted as a gluten-free grain in the United States. This slower acceptance is most often attributed to the fact that amaranth is not a commonly used grain in the United States and may be at a slight risk for gluten contamination because of possible cross contamination in processing and handling. Remember, if you are among those people who must live gluten free, it is always best to introduce a new grain into the diet slowly and cautiously to ensure that it will not cause problems. There is always the possibility that a gluten-free grain may cause an adverse reaction in some people because of an allergic response to some other substance in the grain. 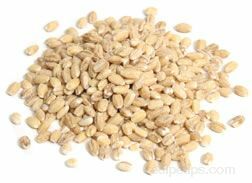 Barley is an excellent source of soluble fiber, which helps to reduce the overall cholesterol level in the blood. It is also rich in the nutrients niacin and iron. 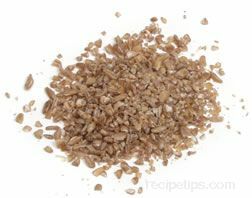 Whole barley, also called hulled barley (the inedible husk has been removed), is much more nutritious than pearled barley, because the bran is left intact. Barley contains gluten, the substance in some grains that gives dough (made from the grain) its elasticity and helps bread to rise properly. Although the level of gluten in barley is much lower than that of wheat, it is still unsafe for gluten intolerant individuals to consume barley. 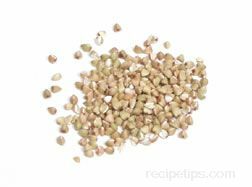 Buckwheat is a rich source of the amino acid lysine. It contains high levels of protein, calcium, magnesium, phosphorous, B vitamins, and iron. 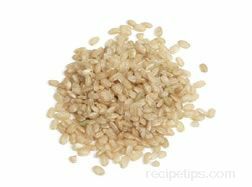 Because of its name, many people assume that buckwheat is a type of wheat; therefore, it must contain gluten, but this isn't true. Buckwheat, in fact, isn't even remotely related to wheat. It is actually an herb plant related to rhubarb and sorrel, bearing seeds that are used as a grain. 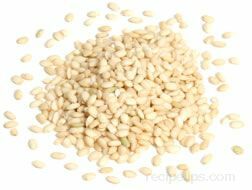 It is gluten free; therefore, buckwheat is an excellent wheat substitute for people who are allergic to gluten. Corn is an excellent source of several important nutrients, including vitamin A, manganese, and potassium. It does contain protein, but it is not a particularly good source. Many other grains contain a greater quantity of protein than corn. 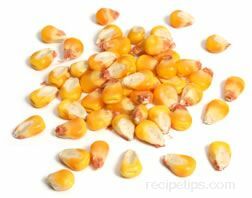 Corn is also a good alternative to wheat for people who are gluten intolerant, because corn does not contain gluten. 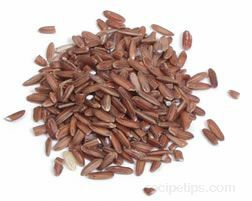 Flaxseed is one of the best sources of omega-3 fatty acids, beneficial in reducing cholesterol and lowering the risk of stroke and heart disease. The seeds are also a good source of fiber. About one-third of the fiber content in flaxseed is soluble and two-thirds is insoluble. Soluble fiber helps to reduce cholesterol levels in the blood, and insoluble fiber is an important component in aiding digestion. 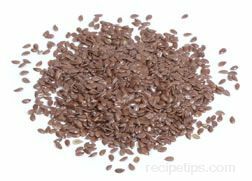 Flaxseed is the best source of lignin, which may play a role in fighting certain types of cancer. Millet is an excellent source of iron and magnesium. It is also high in calcium, phosphorous, manganese, zinc, and B vitamins. It has the highest iron content of any grain except amaranth and quinoa. 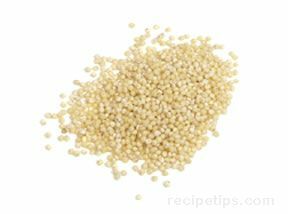 The natural alkalinity of millet makes it easily digestible, so it is very beneficial for people with ulcers and digestive problems. It is believed to be one of the least allergenic of all grains. Recognized as gluten free in Canada for many years, millet is becoming more widely accepted as a gluten-free grain in the United States. This slower acceptance is most often attributed to the fact that millet is not a commonly used grain in the United States and may carry a slight risk of gluten contamination because of possible cross contamination in processing and handling. Remember, if you are among those people who must live gluten free, it is always best to introduce a new grain into the diet slowly and cautiously to ensure that it will not cause problems. There is always the possibility that a gluten-free grain may cause an adverse reaction in some people because of an allergic response to some other substance in the grain. Oats are one of the most nutritious of all grains and are considered a good source of the soluble fiber betaglucan, which helps to decrease cholesterol levels in the blood. Other important nutrients found in oats are B vitamins, vitamin E, copper, iron, zinc, magnesium, phosphorous, calcium, and thiamin, all of which are important for maintaining a healthy body. Oats may contain gluten, the substance in some grains that gives dough (made from the grain) its elasticity and helps bread to rise properly. Although there is some debate as to whether oats actually contain gluten, people who must follow a gluten-free lifestyle should consult medical professionals before consuming oats and products made from oats. 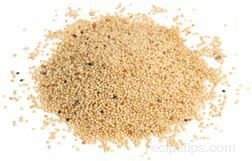 Nutritionally, quinoa is an excellent grain. It is loaded with protein and the amino acid lysine. It contains about 17% high-quality protein, which is more than any other grain. 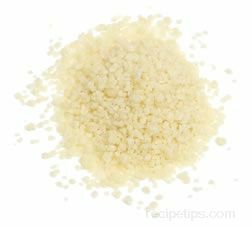 The quality of the protein content in quinoa is actually as good as that of milk. 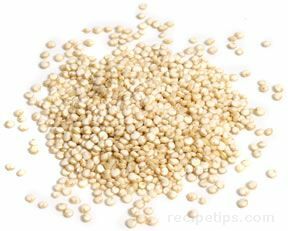 Quinoa is also very high in iron, and it is an important source of calcium, zinc, potassium, magnesium, phosphorus, and copper. 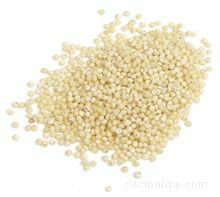 Recognized as gluten free in Canada for many years, quinoa is becoming more widely accepted as a gluten-free grain in the United States. This slower acceptance is most often attributed to the fact that quinoa is not a commonly used grain in the United States and may carry a slight risk of gluten contamination because of possible cross contamination in processing and handling. Remember, if you are among those people who must live gluten free, it is always best to introduce a new grain into the diet slowly and cautiously to ensure that it will not cause problems. There is always the possibility that a gluten-free grain may cause an adverse reaction in some people because of an allergic response to some other substance in the grain. 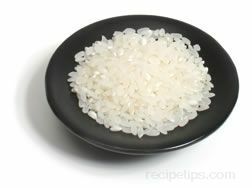 White rice varieties basically begin as brown rice but are stripped of the husk, bran, and germ during processing (polished grains). 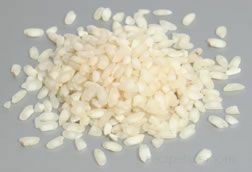 The removal of these components from the rice grains allow the rice to cook at a faster rate than whole-grain rice. 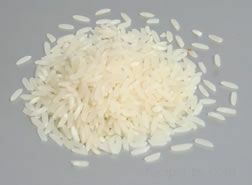 This advantage makes white rice more popular than brown rice, but since the bran and germ are removed, it is also the least nutritious. White rice is often enriched with nutrients, such as iron, niacin, thiamin, and riboflavin (especially in Western nations), to help restore some of the lost nutritional value. Flour milled from rice contains no gluten, so it is an excellent choice for people who are gluten intolerant. Note: The nutritional profile shown below is for long-grain brown rice. Rye is an excellent source of dietary fiber, as well as vitamin E, calcium, iron, thiamin, phosphorus, and potassium. Rye contains gluten, the substance in some grains that gives dough (made from the grain) its elasticity and helps bread to rise properly. Although the level of gluten in rye is much lower than that of wheat, it is still unsafe for gluten intolerant individuals to consume rye. 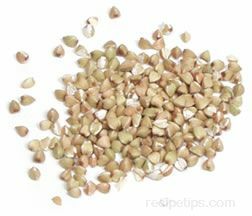 Nutritionally, sorghum is similar to corn, but it has a higher concentration of protein. Sorghum lacks gluten, so it is an excellent choice for people who are gluten intolerant. 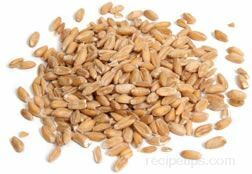 Spelt is making a comeback in the United States not only because of its good flavor, but also because of its nutritional qualities. 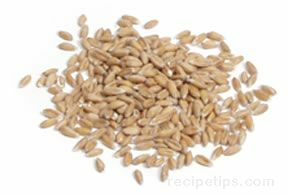 Spelt contains a higher level of protein (up to 25% more) than soft white wheat varieties, but it has a protein level that is the same or less than hard red wheat varieties. Spelt is a rich source of B vitamins and fiber. 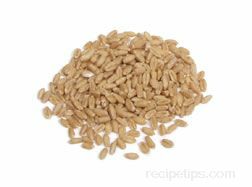 Other nutrients found in spelt include iron, magnesium, niacin, thiamin, and phosphorus. 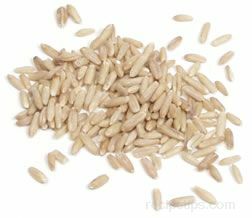 It has been shown that the carbohydrates in spelt are useful in enhancing the immune system and in helping to clot the blood. 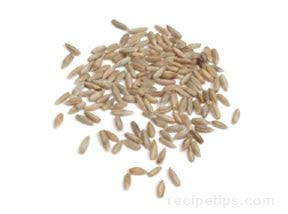 Since spelt is a species of wheat, it contains gluten; therefore, it should not be consumed by gluten intolerant individuals. 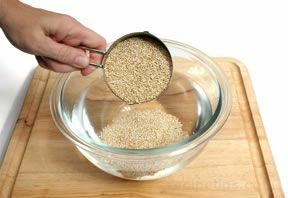 Because the teff grain is so small, there is no effective method for removing the husk, bran, and germ, which means that none of the nutrients are lost, as is the case with larger grains that have had the bran and germ removed during processing. Teff is high in calcium, iron, magnesium, zinc, and thiamin, and it's a good source of fiber. 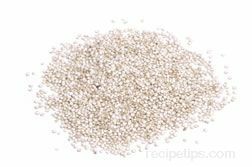 Recognized as gluten free in Canada for many years, teff is becoming more widely accepted as a gluten-free grain in the United States. This slower acceptance is most often attributed to the fact that teff is not a commonly used grain in the United States and may carry a slight risk of gluten contamination because of possible cross contamination in processing and handling. Remember, if you are among those people who must live gluten free, it is always best to introduce a new grain into the diet slowly and cautiously to ensure that it will not cause problems. There is always the possibility that a gluten-free grain may cause an adverse reaction in some people because of an allergic response to some other substance in the grain. Triticale combines the nutritional benefits of both wheat and rye. 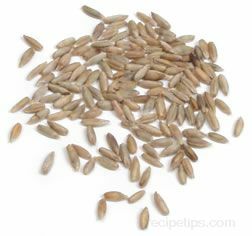 It has a high protein content, and it also contains a high level of lysine, which is found in rye. There is a greater quantity of folic acid, pantothenic acid, copper, and vitamin B6 in triticale than in wheat, but it has a lesser quantity of niacin than wheat. Triticale is also an important source of iron, thiamin, magnesium, phosphorus, potassium, and zinc, and it's rich in fiber. Since triticale is a hybrid of wheat and rye, it contains gluten; therefore, it should not be consumed by gluten intolerant individuals. Among the nutrients present in whole wheat are high levels of protein, fiber, iron, B vitamins, thiamin, niacin, magnesium, phosphorus, and zinc. Studies have shown that the insoluble fiber in wheat bran may help fight colon cancer and at very least, it is beneficial for the digestion. Wheat contains high levels of gluten, so it should not be consumed in any form by gluten intolerant individuals. Many products contain wheat (not just the obvious bakery products). 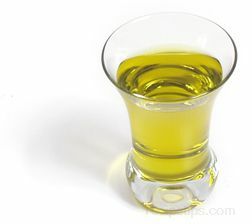 Foods as varied as distilled vinegar to canned soups may contain wheat, so it is important for gluten intolerant individuals to read and understand the ingredients list of a wide range of food products to ensure that gluten is not entering their diets. Note: Different varieties of wheat have different nutritional profiles. The level of protein is one of the most significant differences between varieties. The nutritional profile shown below is for hard red spring wheat. 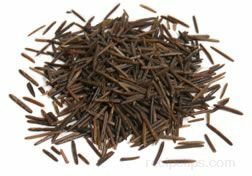 Wild rice is one of the most nutritious grain-like foods. It is very low in fat and very high in fiber. 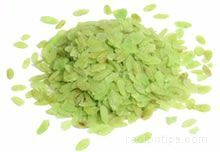 In addition, it has nearly twice the protein of true rice varieties, and it is loaded with B vitamins, folate, niacin, thiamin, iron, phosphorus, zinc, and magnesium.